47566 Joy Road. Built Circa 1828. This home is one of the earliest built homes in all of Plymouth. The property was originally deeded to James Taft in 1825 and was sold to Zenas Burd in 1828. It is unclear if the home existed prior to the purchase by Mr. Burd. 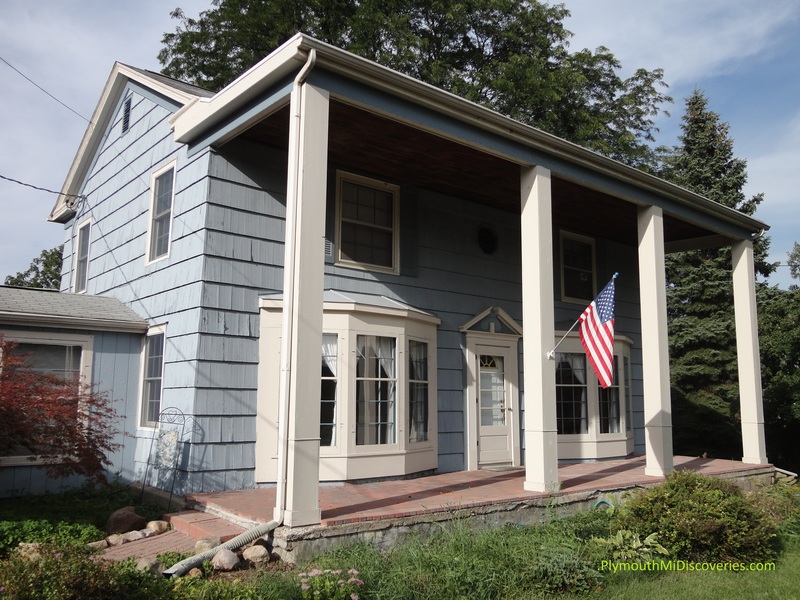 Although the home has seen some significant changes through its several years of existence, it still has its original stone foundation and the original hand hewed structural timbers. Most of the changes were made in the 1950’s by Eric Frobergs. Frobergs dug out the original Michigan basement so one could actually stand up down there and he also added the two large bay windows that are seen today. Another significant change Frobergs did was to remove the stucco that put on the home in the twenties. This is a beautifully well-kept home that is truly another Plymouth Treasure.